The holidays are upon us, and the shopping lists have been drafted up and checked twice. In a previous article we suggested wines to pair with classic Christmas hors d’oeuvres and dishes. But what to serve with all those indulgent holiday desserts? For those with a sweet tooth, we recommend a nice Sauternes from Bordeaux, best served chilled with blue cheese or a trifle of fruit. There’s no better way to impress your friends and family at the end of the meal than with a beautiful bottle of golden Sauternes from one of the best vintages of the region. And what’s left over (if any) can be enjoyed the next day with an ice cube and a touch of citrus zest, a new way of drinking Sauternes that has recently gained popularity. In this article we will discuss this unique wine’s capacity for ageing and how to choose the right bottle for your special occasion. In a land of bold, powerful tannic reds, Sauternes stands out as a unique style indeed – the softer, sweeter side of Bordeaux. This wine is distinguished by a unique viticultural technique, which allows the grapes to be infected with a “noble rot,” leading to the “raisining” of the fruit. This, in turn, leads to more residual sugar and a great complexity that shines through in the finished product. With sugar levels between 120-220 grams per litre, Sauternes qualifies as a very sweet wine, pairing beautifully with some of the region’s most classic dishes, including a variety of pungent cheeses and, of course, foie gras. The region of Sauternes comprises five communes, namely Barsac, Sauternes, Bommes, Fargues and Preignac. Here, the cool waters of the Ciron River flow into the warmer stream of the Garonne. In the summer months this mix of temperatures creates a fog that descends onto the surrounding land, promoting the growth of Botrytis cinerea, the fungus to which Sauternes owes its style. To qualify as a Sauternes, a wine from one of these communes must have at minimum 13% alcohol. While all five of these regions are allowed to label their sweet wines “Sauternes,” producers in Barsac can also choose the Barsac appellation to display on their wines, which tend to be slightly drier and lighter in body than other Sauternes wines. 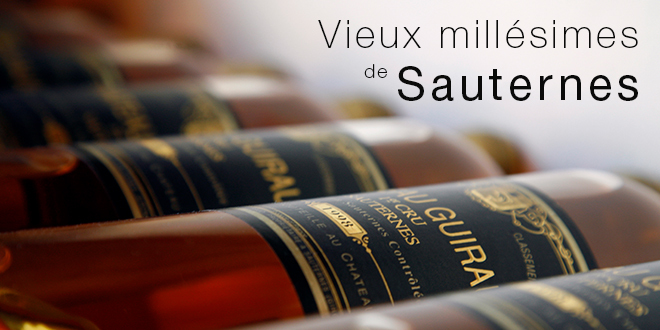 The wines of Sauternes are made from a blend of three permitted grape varietals. Semillon is the workhorse of the bunch, attracting the most noble rot with its thin skins and adding a rich texture to the wine. Sauvignon Blanc brings the acidity, lacking in Semillon, while Muscadelle enhances the blend with its floral characteristics. The wines of Sauternes are considered some of the most age-worthy in the world, often still drinkable after several decades. What makes them so resistant to the passing of time? As many of the grapes used to produce Sauternes are affected by botrytis, the acidity and sugar in the grapes become more concentrated. This helps stabilise the wine and protect it from oxidation, giving the fermentation process plenty to “work with” in terms of raw ingredients. Although a good Sauternes is good even when consumed at its youth, this wine drinks at its best after it matures and sheds some of its baby fat. Over time, the hallmark golden hue of the wine grows deeper, gradually transforming into a copper colour. As this happens, the rich and very sweet flavours of honeydew and tropical fruit give way to caramel, spices and deeper nutty notes, a signature of the Semillon grape. Although the wines of Sauternes are built to age, they are enjoyable also in their youth – unlike many of the Premier crus of surrounding Bordeaux appellations. One fantastic way to enjoy a newer vintage of Sauternes is on the rocks, as suggested by 1er Grand Cru Classe estate Chateau Lafaurie-Peyraguey. 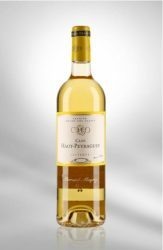 This prestigious chateau has recently started promoting this brand new experience with its award winning wine: Sauternes served with 3 ice cubes and lemon or orange peel with the rim of the glass rubbed with the same. At this point (we hope) you may be considering choosing a Sauternes with which to grace your festive dinner table. Good. But which vintage should you buy? And if you already have a collection of Bordeaux’s sweet dessert wines, which vintages are best left to keep ageing? The truth is that, as stated above, a good Sauternes is good even in its youth. 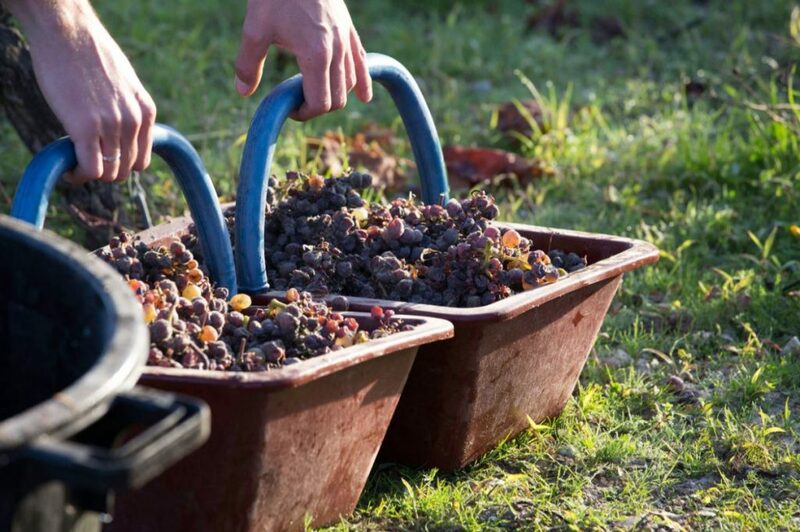 But if it’s the more mature, caramelised, nutty complexity that you’re after, we suggest investing in an old vintage. In a previous article we discussed the best older vintage red wines of Bordeaux. Although some years were just generally very good or very bad for Bordeaux across the board, Sauternes “best vintage list” does not exactly match that of the rest of Bordeaux. This is due in large part to the unique climate in Sauternes, which is so different from its dry wine producing neighbours. For example, although 2017 will be remembered for the disastrous April frost in most Bordeaux appellations, the signature fog of Sauternes actually protected many of the vines, resulting in less loss. In terms of the pre-phylloxera era, 1847, 1848, 1858, 1864, 1865, 1874, 1875 and 1878 stand out as the best vintages. The first still-surviving vintage of the 1900’s is 1921, which stood out as one of the best in the history of the region. After that, the 1929, 1937 and 1945 vintages were also quite impressive. The 1945 vintage was generally a famously superb year all around Bordeaux and France. The best post-war vintages begin with 1947, 1955 and 1959, the latter of which produced incredibly concentrated wines because of the very heavy botrytis experienced that year. Sauternes from 1983 were some of the best – intense, complex and very rich in flavour. Then came two fantastic vintages in a row – the 1989 and the 1990 – the former producing wines with beautiful structure while the latter stood out in its harmony, richness and elegance. The best vintage of the new Millennium so far is 2001. 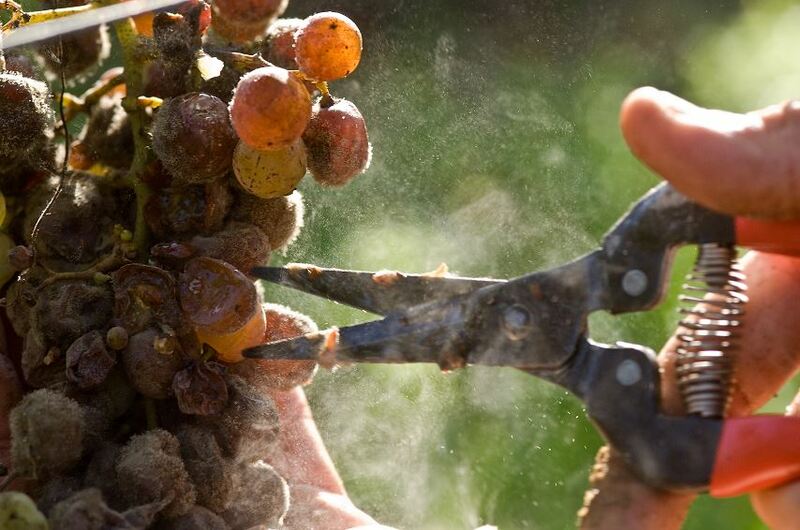 In this year, heavy rainfall spoiled the reds of the region but encouraged heavy botrytis. The result is a magnificent vintage with remarkable ageing potential. We recommend keeping these at least another decade or two. Further good vintages followed, with the 2003, 2009 and the 2011, the latter of which was marked by a rapid arrival and quick spread of botrytis throughout the region. The 2015 vintage, already very famous in the rest of Bordeaux, also shows great potential, though is still to be released. Yquem 2007 displays a beautiful, bright golden yellow colour. On the nose, this great Sauternes reveals remarkable aromatic purity. The olfactory expressions are most marked by notes of exotic fruit, but condensed, and of a rare intensity. Passion fruit blends with fresh pineapple, enriched by the refreshing fragrances of pink grapefruit and fresh apricot. On the palate, Yquem 2007 is very precise and chiselled. The palate seems to be in a perfect harmony with the olfactory expression. 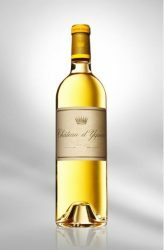 The balance here is perfect between the sweetness, acidity and alcohol, offering the palate of this Chateau d’Yquem wine a great harmony. This splendid Sauternes shows a perfect maturity of its berries. 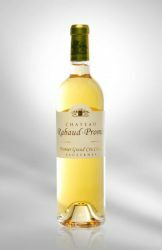 The 2001 Chateau Rabaud-Promis is a typical sweet white wine from Bordeaux. The mild temperatures of Sauternes allow for the creation of collectible vintages of wines that reveal themselves to be very aromatic, ample, and persistent. The 2001 Chateau Rabaud-Promis blends Sauvignon Blanc and Semillon for another prestigious release. The nose is generous and expressive, exuding white flowers and yellow fruits -pear, mango, apricot – followed by honey, spices and beeswax. The 2001 Chateau Rabaud-Promis also offers a coated palate with candied fruits, nutmeg, and fresh plums. The 2007 Clos Haut Peyraguey has a fragrant, very floral bouquet with subtle notes of pastry – touches of lemon meringue, as well as walnut and apricots. On the palate this wine reveals itself to be quite well-balanced – taut and spicy on the entry, very zesty and tensile. This is an excellent Sauternes indeed, to open now or age a few decades.